What do they have in common? A nest cavity! 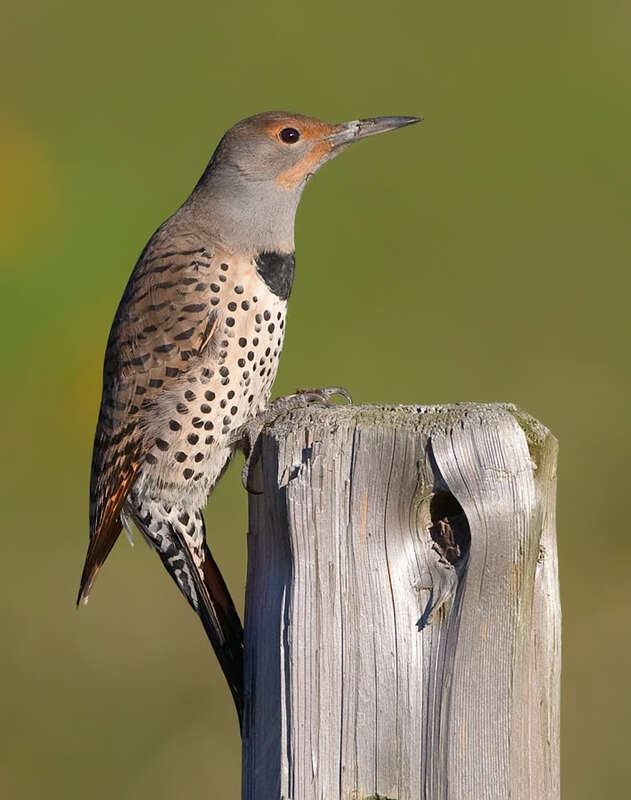 After a Northern Flicker carves out a nest cavity, chances are the birds will use the cavity for just one nesting season. But the cavity may have a prolonged career as a home for small owls, bluebirds, swallows, and other birds - including the Bufflehead. 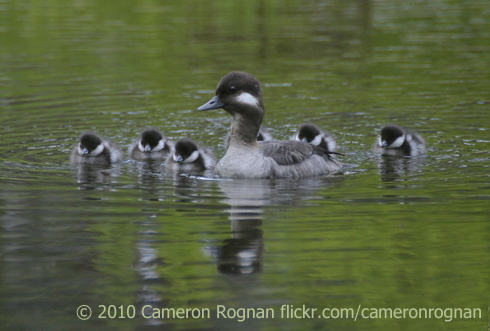 Buffleheads - like the family seen here - are the only ducks small enough to use the cavities of flickers. 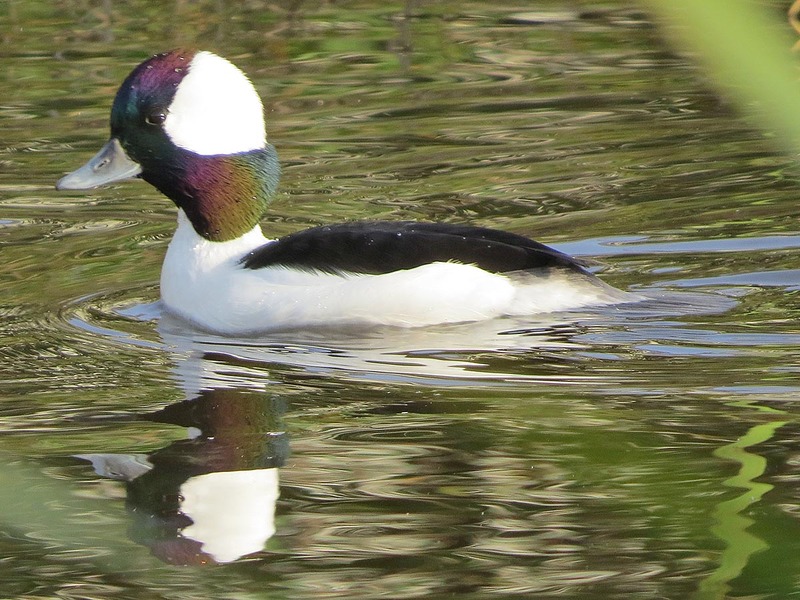 Clear-cutting in some northern forests has reduced nesting habitat for flickers and Buffleheads alike. Both benefit when consumers choose paper products made from recycled paper. Listen to one of nature’s most skilled carpenters at work. 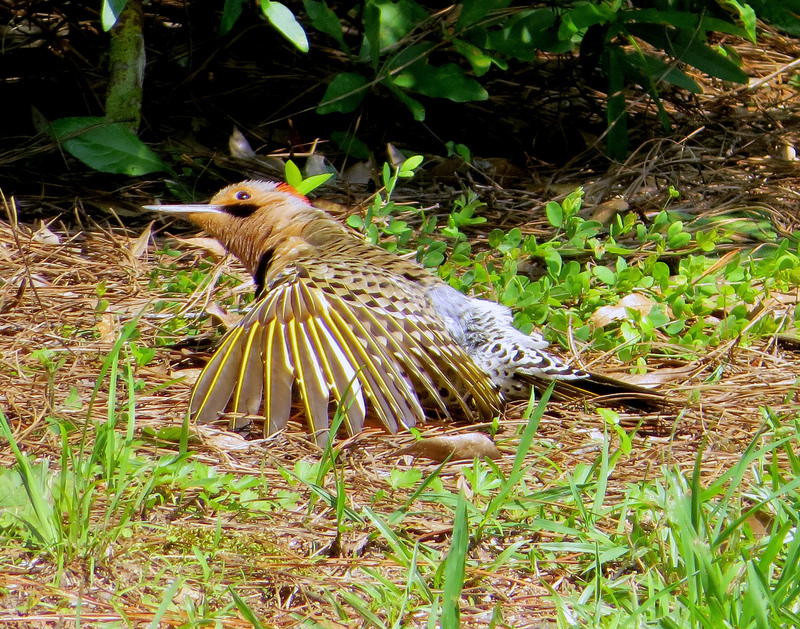 [Woodpecker excavating nest hole] A woodpecker – a Northern Flicker – is carving out a nest cavity. Clinging halfway up an old, dead tree, the bird uses its chisel-like bill to chip out a round entrance hole three inches across. [Woodpecker excavating] The flicker then excavates a cavity a foot or more deep inside the trunk – a safe haven for raising its young. Today’s show brought to you by the Lufkin Family Foundation. Learn more at our website, BirdNote.org. Sounds of provided by The Macaulay Library of Natural Sounds at the Cornell Lab of Ornithology, Ithaca, New York. Pileated Woodpecker excavating recorded by G.A. 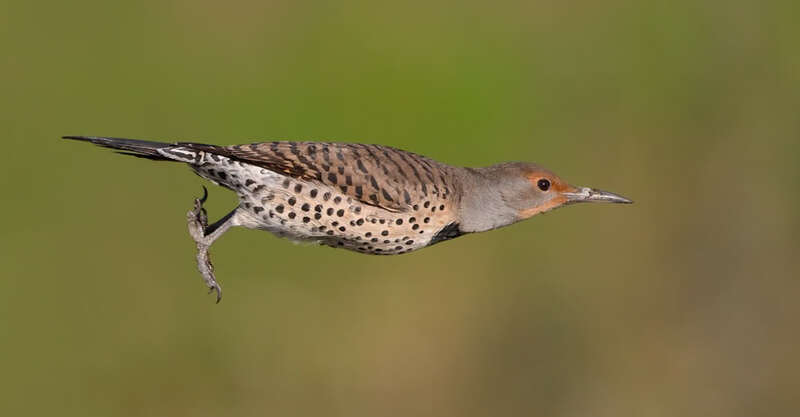 Keller; call of Northern Flicker by 6819 R.C. Stein; boreal ambient recorded by G.F. Budney CD25 T9 and landing of Bufflehead recorded by W.W.H.Gunn. Primary reference: Birds of North America online.